book review | Damian Trasler's Secret Blog - Do Not Read! Free stuff for the rest of the month! 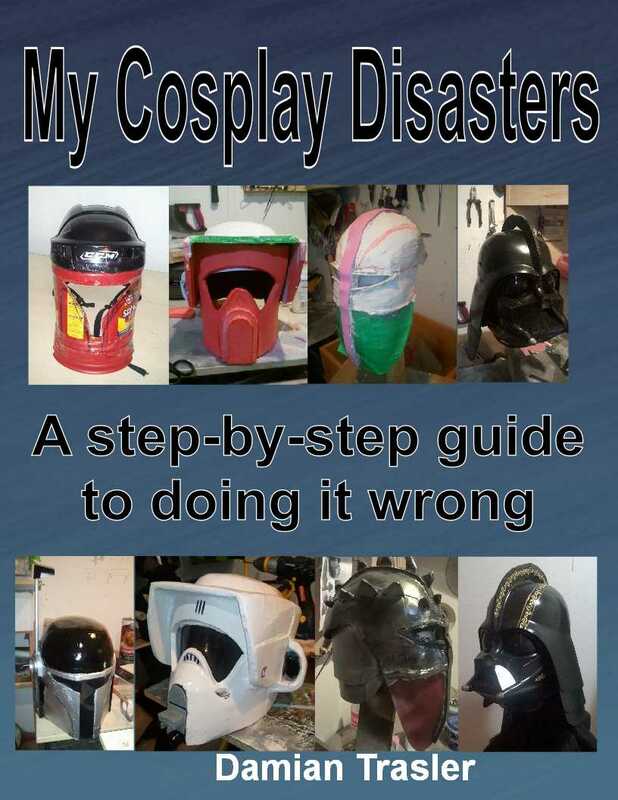 “My Cosplay Disasters” is the first of several free e-books available this month. August seems to be galloping past, and before long it’ll be my birthday again. Instead of demanding shiny things and an outrageous party, I thought this year I would give away a bunch of e-books, one each week, and only ask people to leave reviews on Amazon in return. To be clear, I’m not asking only for GOOD reviews – I would like honesty. If you hated the book, or thought it was childish, then say so. Actually, I don’t think anyone would be surprised. From Monday the 17th, “My Cosplay Disasters” will be free from Amazon. Next week, I think it’s “Tribute”, my awkward attempt to turn a stage musical I never finished writing into a YA novel. Then the week after that there’s another one, but I did all this late at night two days ago, and I can’t remember what the plan was. Leaving a review can be a pain, but it really, really matters to authors. If you’ve read a book recently, try leaving a review on Amazon, or Goodreads, or your own blog or wherever. It’s ok to be honest, as long as you’re talking about the book and not taking potshots at the author’s personality or life choices. Your words could influence someone else, maybe help them discover a book they will love for the rest of their lives. Or maybe save them from a literary disaster. Thanks so much for the review you left for me for my birthday. It was a lovely surprise to see the notification pop up in my email and then the live review on Amazon. I had a lovely birthday, with a late start and then a pleasant walk in the sunshine with dog and family, followed by lunch out and an afternoon movie back at home. It turns out forty three is a lot like forty two, but with less literary connections. We took some friends to see Second Beach, still hot at sunset…. It’s been dangerously hot in BC during June and July, unusually so. There’ve been wildfires across the province, some accidental, some not. School let out, and visitors came, so we’ve had lazy days in the sun, crazy days being tourists in our own town, and the whole spectrum in between. There haven’t been many days lazing in a hammock reading books, but there are three I’ve read in July that stand out. Growing up in the UK, I never watched Saturday Night Live, but it’s hard to escape the many SNL alumni who populate the film and television shows we all watch. Tina Fey has been a voice on animated movies, characters on film and television, and a name that appears again and again on the internet, especially when there are comedy awards happening. 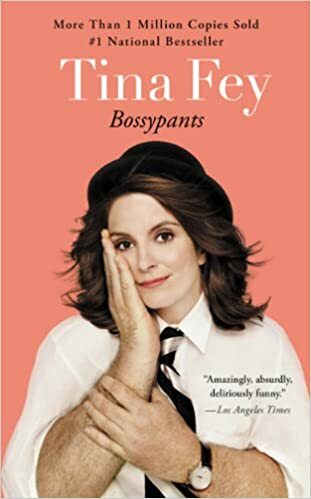 The cover of “Bossypants” is quite distinctive, and I’ve seen it on the shelf in the library often enough to be curious about it. Like many autobiographies of the rich and famous, it’s not actually a blow-by-blow account of their lives in chronological order, but a series of anecdotes. Not everything in the book is something you want to know about, but it’s presented well, and I like her sense of humour. What does come across clearly is the staggering prejudice she’s had to overcome – in the comedy improve troupes, in the comedy clubs, in television and in movies. People have told her that “audiences aren’t interested in a sketch with just two women” and other unbelievable things . All of these nuggets of wisdom clearly based on no experience whatsoever, since Tina Fey and Amy Poehler took the internet by storm with the two-woman sketch of Sarah Palin being interviewed by Katie Couric. Tina Fey is not “funny for a woman”, she’s funny. In fact, she’s hilarious. Her sections on parenting were so true they made me laugh even while remembering the agony of parenting small children. This book has been out for a while, but I’ve been resisting reading it. Now that I took the plunge, I can’t remember for the life of me why I was so reluctant. I’ve read all of Neil Gaiman’s books, and a stack of his Sandman comics (though not all) and they always have the same effect: I wish I wrote with a special fountain pen, so I could screw the cap firmly on and put it away for ever. 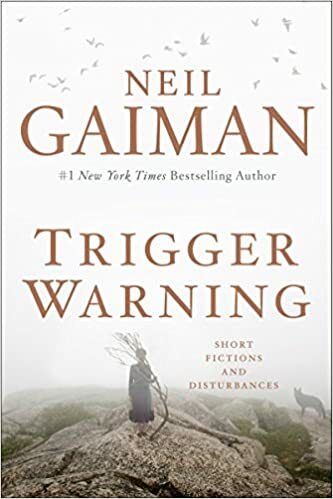 Then I would lie down with a bag on my head, secure in the knowledge that nothing I ever wrote could be half as good as Neil Gaiman’s simplest short stories. It would be sad to think that there’s no future for short stories. Amazon made provision for authors to write short stories with their “Kindle Singles” program, and of course, there’s nothing to stop us Indie authors writing and publishing any number of collections of short fiction. What seems to have gone forever is the ready market for short fiction – the magazines that used to accept short stories and give some respectability to new authors. I hope the sales of collections like this and others helps dispel the myth that short fiction isn’t popular. I often stumble across great books thank to my friends on Google Plus, and this one was no exception. Having heard a great deal about it from other friends, I finally made the acquaintance of the author himself and downloaded the book. As a bonus, the edition I bought is books one and two, saving a wait when I got to the end of book one. Anyone who has read the Gunslinger books by Stephen King will feel a thrill of familiarity, but truth be told the only thing the two tales have in common is that the lawkeepers of the alternate worlds are gunslingers. In the land of Roland of Gilead, the world has moved on and things are collapsing. In the world that Ross stumbles into, civilisation is alive and well, with a gunslinger on the throne. Comparisons become useless at this point. The story is epic in scale, but well told and original. 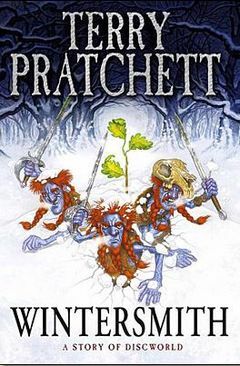 I will be picking up book three soon. As frequently happens, I’ve read a bad book this month too. I’m not going to name names, because reviews are subjective things. Suffice to say, this was a book that had fulsome praise on the back for its ingenuity and unique voice, etc etc. That’s all well and good, but I believe stories should have a beginning, a middle and and end. You don’t need to put them in that order, but as a writer you have a contract with the reader. “Here’s a world,” you say “and here’s the people in that world. Here’s something happening, something worth your attention.” If you do it right, you’ll grab my attention early on, you’ll make me care what happens to those people – whether I want to see them succeed, or want to see them defeated by their enemies, well, that depends on the situation you’re writing about, doesn’t it? But what I really, really don’t want is the story I got from this book: “Here’s an insignificant man. He doesn’t like himself. He’s got a great girlfriend, and he doesn’t understand why she likes him. He cheats on her, and everything goes wrong. Now things are genuinely unravelling for him. His family is broken, dying, he has no girlfriend, the woman he cheated with doesn’t want him…The end.” You know what? I made it sound better than it was. Not only was there no resolution in the story of the central character, but the secondary story that he was writing throughout the book ALSO has no resolution. It is literally interrupted in the final sentences by a ringing telephone, and never finishes. And that’s the end of the book. The next book on my stack is “Go set a watchman”, despite my reservations. I didn’t read “To Kill a Mockingbird” for a long time, but when I did get around to reading it, there was still a “19” at the start of the year. What’s been your favourite book this year? A friend asked me to take a look at this book, a collaboration between two acquaintances of hers. I had talked to her briefly about self-publishing and some of the pitfalls I have discovered (by falling straight in, naturally…) and she thought I might have some useful hints to pass on to the authors. The first impression is that they have done this job thoroughly. For one thing, I was lent a physical book – it’s a smart paperback, with an ISBN, reviews, a summary and a well-designed cover. These things may not sound extraordinary, but remember this book is produced by a two people who started their own press to produce their books. They haven’t fallen foul of any of the mistakes that first-timers often make. My only complaint about the cover was that it didn’t quite match the type of story being told. 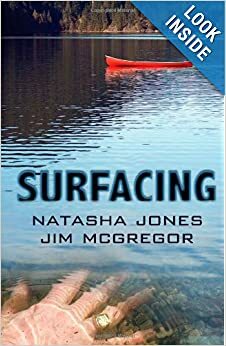 From the hand beneath the water and the empty canoe, I assumed I was getting into a murder mystery, and that “Surfacing” might refer to the discovery of a drowned body. However, the actual tale has more to it than that. Don was a firefighter, but an accident at work put him into a coma. For three years his wife Debbie has struggled to cope with raising their two children, maintain her house and job and she has gradually stopped visiting Don altogether. Then one day her son Jeremy finds his father’s ring in the waters of the lake where they have a cabin. Jeremy is determined that they should visit Don. The visit seems to be enough to bring Don to the brink of consciousness, and suddenly there is hope for the family that he will recover. The doctors are aided by Jeremy’s uncanny ability to “hear” what his father is feeling or thinking, and Don’s recovery goes from unlikely to inevitable. On the surface, that sounds like a medical drama, or perhaps a romance, as Debbie has to learn to live with the man she lost, and Don has to come to terms with his family spending three years without him. This aspect of the story is tough to read but was rendered realistically – my wife worked for a while with members of the armed forces who had been on detachment – away from home for three to six months. Time and again their families would arrange big parties, or celebrations for their return, and within days the couples would be separating, unable to live together. When there is a prolonged absence, both sides come to adapt to the new life, and coming back together takes time and understanding on both sides. However, there’s another string to the story – a worker at the hospital where Don is recovering decides he won’t stand by and allow the happy reunion of Don and his family. Using various methods, he causes suspicion and mistrust to flower between Don and Debbie, doing all he can to damage the family. 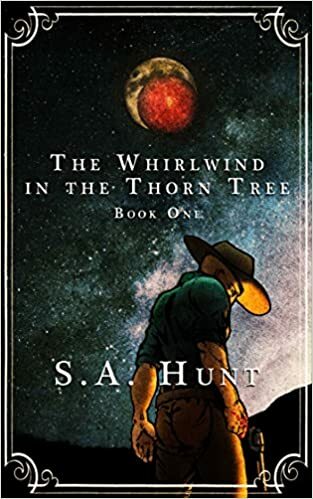 The book has a decidedly spiritual aspect, and though I wouldn’t classify it as “Christian Fiction”, the characters certainly ascribe certain events to celestial help – Jeremy receives messages from his dead Grandfather that help him save his father. In a world that makes a bestseller of a book about a love triangle between a human, a vampire and werewolf, I don’t think this is such a stretch. Although it wasn’t a book I would have picked for myself (my reading tastes, as you may have seen from my monthly round-ups, are more lightweight in general) I enjoyed the story. I was particularly pleased that all the threads of the story came together in time for the conclusion. 1. It says “Circus” in the title. As a juggler, I’m a sucker for all things circus. Except clowns, obviously. 2. 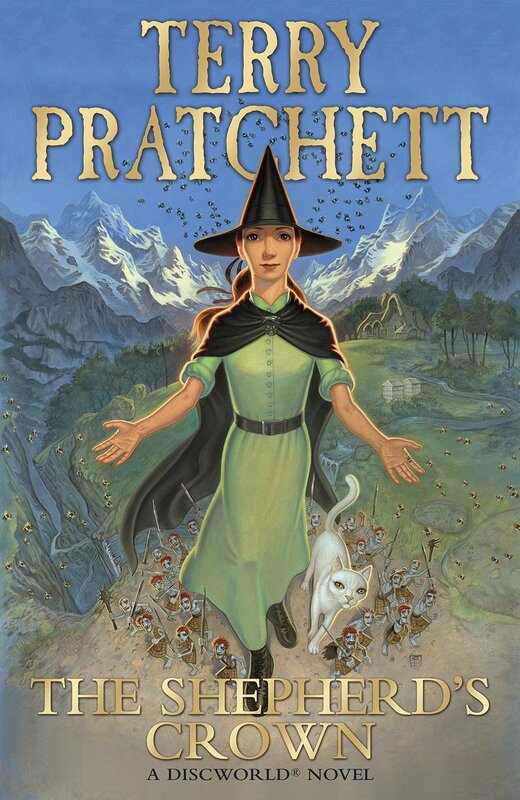 It has a brilliant cover. Yes, I judged the book by its cover. Cliches exist for a reason. 3. It’s written by Erin Morgenstern. I thought the name sounded familiar, and then realised it’s the name of the person who sort of wrote “The Princess Bride” If you want me to explain that reference, then I’m sorry, I’m not going to. Watch the film, and thank me afterwards. I loved the book, which makes it hard to do a serious review. My impression was that Erin Morgenstern had perhaps written several descriptive passages, maybe working out what the Night Circus would be like. 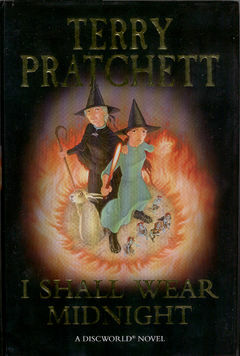 These then got incorporated into the more traditional narrative as the writings of one of the characters in the story. From the blurb on the back, you might expect a love story combined with elements of “The Prestige”, where two rival illusionists strive to best one another in a magical tourney, but it isn’t like that. The story ranges a little in time, is magical in almost all senses of the term and, for once, did not disappoint with the ending. That’s no mean feat. 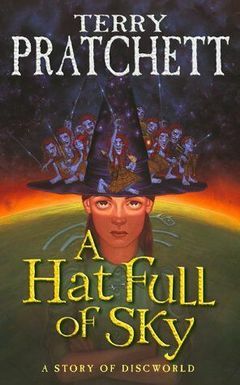 I’d recommend this book to anyone with a love of magic, or circus, or love stories. There’s no vampires or werewolves, which, frankly, is a relief. I don’t do many book reviews, which is weird for someone who reads around three books a week. This year I’m trying to kick myself into a better set of working habits, so I’ve been looking for books that will inspire me. This one – Writing Movies for fun and profit by Thomas Lennon and Robert Ben Garant – was highly regarded by the good folks over at my favourite screenwriting website, www.scriptshadow.blogspot.com and so I thought I’d give it a go. I found it in my local library (always the first place to go to try out new books!) and glanced inside on my way to check it out. The first chapter deals with why you should live in LA. I sighed and checked it out anyway. I’m not moving to Los Angeles, even for a movie writing career. For one thing, I hear it’s in America. For another, I live in Vancouver, the Hollywood of the North. Why do I need to go anywhere else? It wasn’t an auspicious start, but I picked up the book again a couple of days later. Tom and Ben write in a matey, buddy, beer and a slap on the back style that might set your teeth on edge, but I found it quite refreshing. Screenwriting “how-to” books can be a little dry. This pair are more concerned with explaining what the world of writing for movies is like than telling how to get it done, but they do get round to the nuts and bolts of work in the second half of the book. What I found most interesting was that they answered questions a lot of people don’t. How much can you expect to get paid when you sell a screenplay, for example. They actually give a dollar value ($109,783), but of course, it’s not as simple as that – you need to be a member of the right Guild, you won’t get your script seen without representation, and you won’t get an agent until you prove yourself by selling something etc etc. But it’s not endless doom and gloom, because they cover finding agents, and what agents/managers/entertainment lawyers DO, in the book as well. What makes this book very different (apart from the fact that the authors can point to movies they’ve actually written and have been made – are you listening, Mr McKee?) is that they talk about the BUSINESS, how to speak to people from the studio, what to do when a Star attached to your movie gives you notes you don’t agree with. They’re not there to help you win an Oscar, they’re talking about making movies for entertainment. I appreciate his point, and there are certain projects I’ve been writing that haven’t been completed because they’re not working out the way I want them to. I won’t produce them along different lines, so they don’t get done yet. If you’re working on a movie script that you believe will change lives and alter the way the Universe works, or even just think you’re the next Mike Leigh (God help us all) then this book is not for you. If, on the other hand, you watched “Night at the Museum” and thought “I could write something better than that!” then DO read this book. Tom and Ben DID write that movie, and the sequel, and the insight to be gained from reading about the process involved is invaluable. So the book won me over, in spite of the LA-centricity, the blatant product-placement and endless lists of good restaurants to go to. I’m not moving to LA, but I am still working on my movie script, and it’s going to be entertaining, not great art. Sorry, Mr Jordan. My local library copy. Supoort your local library, folks! No, I’m writing this review for what I think are the purest reasons – I just read this book myself and I really, really, liked it. In the pre-internet days I would have just banged on about it to friends and work colleagues for a week or two until they told me to shut up or my goldfish brain found a new best thing to love. But now…Now I get to spread the love around the whole worldwide internetty web thing. Lucky you! WARNING: This is NOT a cheerful book. This in itself is an odd thing, because I usually hate gloomy books. Today’s secret: I believe downbeat endings are a terrible idea, and if I think a book is heading that way, I’ll flip to the end and see if the main character is still alive on the last page. If not, I ditch the book. Fortunately, this doesn’t have a downbeat ending. Sort of. 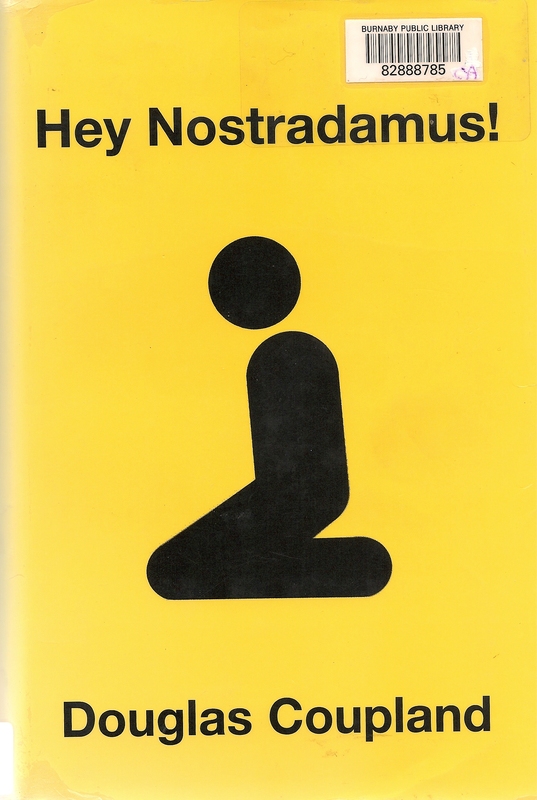 “Hey Nostradamus” opens with a High School massacre. A scene we’re all too familiar with, the outsider losers on the rampage with guns and bombs. But don’t be put off. This is not a gratuitous scene, not an opportunity to revel in the bloodshed and horror. The themes of this book are many, but they revolve around life, God, purpose, forgiveness and change. Yeah, that’s a little vague, but there’s so much in this story that I feel it’s unfair to try and pin it down too closely. The approach is novel. 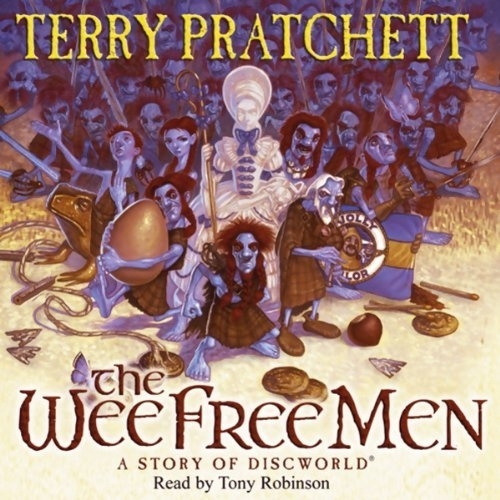 Each section of the book is narrated by one of the characters. The first segment is Cheryl, a student at the High School who is the last to be killed on that terrible day. That’s a not a spoiler, folks, Cheryl lets you know what’s coming quite early on. She’s the only one speaking from the position of omniscient author – she’s dead, after all. The others that follow are all writing down their stories for others to read, deliberately chronicling or confessing in a way that makes the events they relate or the ideas they pass on much more personal. The second section is related by Jason, who was Cheryl’s boyfriend. He survived the massacre, playing a significant role in it, but suffered a great deal as a consequence. His story is about how that day still resonates years later, how his struggle to get though life is complicated by those around him as much as the ghosts of yesterday. The third section belongs to Heather, who befriends Jason after the events he relates in his segment. I won’t say much about her section, because it would spoil the story. The final section is Jason’s father, writing a letter to his son after years of not communicating. This section was fascinating, as Jason’s father was demonised throughout the early half of the book, then appeared to be making some redemptive moves late in life. This book succeeds in the aim of every novellist: I have thought about it many times since I finished it, and someday in the not too distant future, I will pick it up again. I thoroughly recommend it. Which books have you read that were so good you had to tell someone?